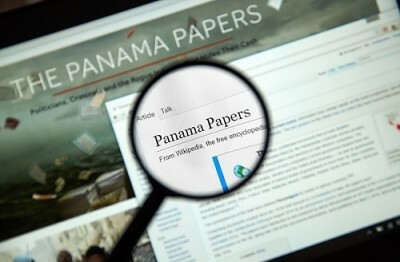 The recent expose’ of the so-called “Panama Papers” brings to light again the morally troubling issue of tax havens and the flight of capital from taxation. The fallout from this, as is now widely known, has had serious political implications. There is already a major political casualty in the form of the former prime minister of Iceland, who resigned amidst allegations of financial impropriety by a member of his family. Politically, the issue remains a highly charged one; even David Cameron, who in recent times was one of the most vocal proponents of reforms to curb the excesses of the financial truancy of both rich corporations and individuals has not been entirely absolved from the scandal. Some financial analysts have claimed that this is merely the tip of a very large iceberg. If true, the implications are staggering, because it gives pause to even the deeply worrying report recently published by Oxfam highlighting the global inequities of wealth which exists today. While economic inequality is a serious source of concern, it is merely a part of a larger pattern of discrimination and deprivation that afflicts all societies in the present. This question extends to far more than just economic ones; in fact, arguably the fixation on economic inequality is in danger of shifting attention away from more fundamental questions of social justice and fairness. It also gives an undue emphasis on an economic solution rather than a real one. One of the key, though somewhat under-emphasised, aspect of Thomas Piketty’s global best-seller has not been to show the extent of the gaps between the rich and the poor but rather more pertinently how periods where the gaps have narrowed have been the rare exception rather than the rule. This in a sense gives us a more realistic appraisal of history. Seldom has the pursuit and agglomeration of wealth given pause to anything other than its own validation. If history is any guide, the impulse to accumulate wealth and power for its own sake is a universal drive that seems to transcend faith, cultures, language, politics and geography – as much as most faith and wisdom traditions counsel us against the deep spiritual and social ruin that will eventuate from such a pursuit. But in a global public culture dominated by a vain and arrogant, but more problematically, parochial ‘secularity’ promoted by the West and their allies, such discourses carry little weight. Worryingly, even among the more visibly religious nations, there seems to be little enthusiasm to find alternative visions of progress and development.Even so called ‘alternatives’ to the dominant paradigms might not – on closer scrutiny – be so different. I think underneath the enthusiasms amongst Muslim nations, for example, over so called“Islamic” finance, the same ideological drives persist. Financial institutions no doubt understand its attractions as a marketing exercise; a more affluent, growing Muslim middle class enthusiastically embraces a means of increasing their wealth whilst palliating their ‘spiritual’ concerns!As global banks pursue this new wonderful marketing vehicle, we see hordes of both private and public conspirators – government agencies, university academics, financial consultants and so on – selling the public this new ‘product’! However, at its centre nothing changes, and the practices of the past (profiteering for its own sake, the continued hegemony of the institutional structure of the present financial system, the ongoing valorisation of liberal capitalist values et al) continues. The terms of the process are now couched in a different language but the functioning and logical aims of the exercises remain the same. Moreover, the way in which global society speaks of the problem today – the way it has been conceived and what has been perceived as its effects is quite removed from similar episodes of social and economic distress in the past. I’ll come back to this later. I’d wager that even the Wall Street Sit-In, applauded globally as a powerful indictment of the failures of a financial system run amok (a dubious pyramid scheme dressed under the sanctimony of the world’s most respectable financial institutions), symptomatizes the widespread moral vacuum surrounding the issue. Exemplified as a serious mass movement critique of developments which eventually led to the financial crisis of 2008, what it truly reflects is a reaction against the symptoms of failure rather than an outright questioning of the moral validity of its causes. In other words, one cannot help but wonder whether many of those who came would have bothered to do so if they had not themselves been affected by the fallout. If the prevailing system had continued to lavish the same returns it had done prior, would have there been a call to re-examine its principles or values? And what exactly are the majority angry about? The failure of the system? Or of the principles which underpin them? Then why is there a lacuna of serious attempts to frame these issues in broader terms? If we do not take the time to think within the context of the kinds of society we are trying to build, then to paraphrase Santayana, we are doomed to repeat the mistakes of the past in an unending vicious cycle. One thing is clear. History tells us that the cycles of boom and bust is a natural part of the economic order. However, what is peculiar to the current malaise, is a seeming inability to articulate the problem(s) within any kind of moral compass. The way we talk about economic activity is disconnected to any view of how this is an intrinsic part of how we imagine the kinds of societies we wish to have. Even when we are angry about disparities between the rich and poor, this is seen and discussed in isolation from thinking about wider morality. It has not always been so. Even in the most celebrated totem of free-market thinking, Adam Smith’s “Wealth of Nations”, published more than two centuries ago, the idea of free enterprise and the freedom of exchange, was an attempt to augment a liberalism and individual autonomy thought in the best interests of an Enlightenment morality. Free trade was seen as a critical element in the flourishing of a ‘good’ society. It was grounded on a moral claim (what Smith terms as “moral sentiments”), not the kind of vacuous argument put forward today by economists talking about “efficiencies”. This laxity, described so vividly by Tony Judt, as ‘economism’ (“the invocation of economics in all discussions of public affairs”) is frankly, intellectually lazy. He asks a deeply pertinent question, “why do we have such difficulty even imagining a different sort of society from the one whose dysfunctions and inequalities troubles us so?”. Why is it we no longer seem to have the wherewithal to question the present in fundamental ways? Why is it so difficult to conceive “a different set of arrangements to our common advantage”? And perhaps most worryingly, we appear to lack a sufficient vocabulary to enter a public discourse without need for an arbitrative reference to profit and loss, or what Judt refers to as an “etiolated economic vocabulary”. These questions are, of course, not new. Decades before the publication of his report which became in 1942, the foundation of the British welfare state, William Beveridge had given a lecture in Oxford in which he bemoaned the dangers of obscuring proper political philosophy with classical economics in public debates. In some ways anticipating the intellectual malaise we face in the present, he warned of the deleterious effects of restricting public policy considerations to mere economic calculus. We seem to live in an age where the functioning of society is seen in almost purely instrumental terms. The economic and commercial, the pursuit of leisure, securing justice and fairness, political participation and the fulfilment of spiritual needs and religious obligations are almost always discussed and seen as separate realms of values and conduct – microcosmic and through separate flows of life seemingly unconnected with one another. This is of course, a false depiction of the human condition. Under such conditions, it is extremely difficult – if not downright impossible – to speak of ‘society’ in a collective and holistic sense. All things are judged in their own terms and in their own sense; it is almost as if the kind of Thatcherite verbiage (“there is no such thing as society, merely individuals” and so on) we thought we had left behind in the 80s, has quietly subsumed the principles of public debate over everything from education, health, transport, housing and so on. Over two centuries ago, one of the key figures of the European Enlightenment, and perhaps its keenest observer of the emergence of commercial capitalism, Marquis de Condorcet, anticipated the dire prospects that “liberty will be no more in the eyes of an avid nation, than the necessary condition for the security of financial operations”. For many of us today, this may actually sound too familiar for comfort. Khaldun Malek is an academic who is a member of the Executive Committee of the International Movement for a Just World (JUST).